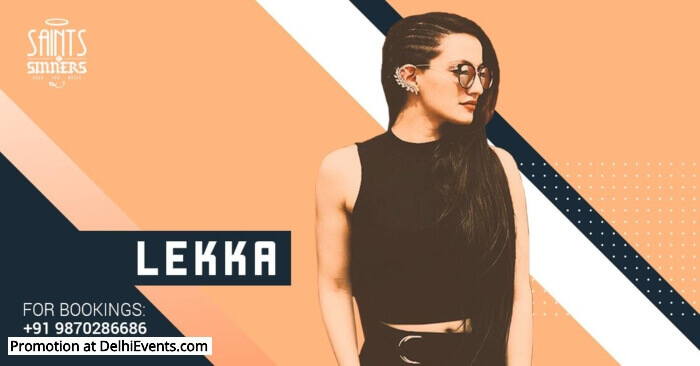 Born and raised in New Delhi, India, Lekka discovered her love for music at a very early age.She started singing at age four and learning the piano at six. By the age of seven, she was on stage singing at local competitions. Her family’s extensive collection of music exposed her to various genres and helped her develop an eclectic taste. Along with Lekka’s childhood passion to belt out songs, she soon became keen to pen down poems later honing them into lyrics. She was recently one of the top 12 artists on South Asia’s biggest English singing reality show,“The Stage, Season 3.” Her exotic stage presence and interesting vocals have made a mark in the Delhi music scene as one of the most versatile performers.